Bernice Florence was born November 25, 1928, in Sleepy Eye, Minnesota, the daughter of Peter and Elizabeth (Zupfer) Roiger. She grew up in Sleepy Eye and New Ulm area, attended St. Mary’s School in Sleepy Eye and Holy Trinity Catholic School in New Ulm. 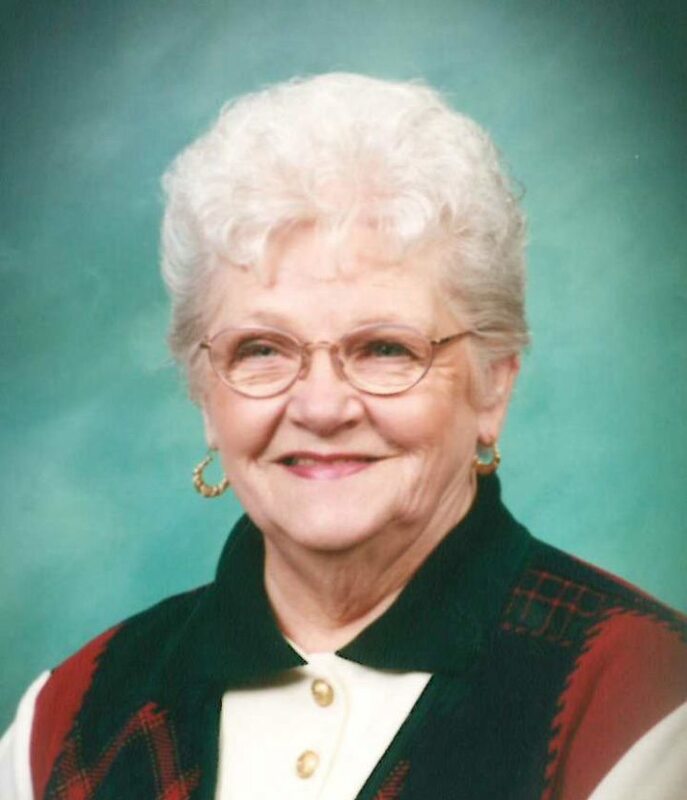 She graduated from New Ulm High School in 1947. On June 7, 1948, she was united in marriage to Arnold Baumann at Holy Trinity Catholic Church. They lived in New Ulm until 1952 when they moved to Anoka, returning to New Ulm in 1959 as Arnold worked for Super Valu. In 1975 they moved to Willmar. Bernice worked in sales before working as a nursing assistant for 15 years, retiring in 1990. She was baptized on December 2, 1928 in Sleepy Eye, confirmed in New Ulm and was a member of Church of St. Mary in Willmar. She cherished being a wife, mother, grandmother and great grandmother. She enjoyed keeping a home, decorating and cooking for holidays, and buying gifts. Making her family happy was her enjoyment. Surviving is her husband of 69 years, Arnold; children: Judy Ann (and Douglas) Gustafson of Ft. Myers, FL; Steven (and Brenda) Baumann of Frisco, TX; Deb (and Michael) Henkelman of Atwater; Rick (and Muggs) Baumann of Deephaven, MN; six grandchildren: Mark Gustafson, Chad (and Katie) Gustafson, Stephanie Baumann, Jeff (and Taylor) Gustafson, Caroline (and Aaron) Riippa, Tyler (and Taylor) Henkelman and great granddaughter, Palmar Baumann. Bernice was preceded in death by her parents and brother and sister-in-law, Donald and Elaine Roiger.